Right before Passover started on Monday, JSL and I went to pick up a few things at the library. JSL stopped to check out what will soon be their butterfly garden. Last year, he loved watching the butterflies fluttering around in the beautiful and colorful area. Yes, these gorgeous daffodils made me smile. I am not sure why, but daffodils have become a recent favorite of mine. We planted some a few years ago. They were amazing – until the neighborhood bunny family yanked them out of the group by the bulbs. Goodbye daffodils. I keep saying that I need to buy some daffodil and tulip bulbs to plant, but I never do. Guess I need to get on that one of these years. What has been your favorite floral find this spring and why? As awful as it sounds, none. my allergies have been crazy this year, and when I see a flower, I cringe! The tulips in my yard, they are beautiful and scream spring is here. i’ve had shop bought daffs in my house all spring! My daffodils are starting to bloom and for me that is the sign of spring. Bearded Iris. at the gardens. I haven’t paid attention to flowers this season, so I don’t have any floral finds. I love seeing the brightness of California poppies. It is our state flower and they are beautiful when they are in bloom! 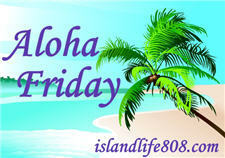 Allison´s last blog post ..Aloha Friday- Happy Earth Day! Our neighbors have some beautiful rose bushes. Those are lovely. I wish I had the thumb. I saw beautiful flowers during the early Spring, but not now. I’d love to see some lillies. JamericanSpice´s last blog post ..Our Eating Arrangement With Aloha! Since my allergies have been so miserable and leave me in so much pain, I’ve been avoiding them…but I do love flowers!!! Nothing in my yard but green but I love my mom’s daylillies all over the farm. They’re gorgeous and give me a since of spring. the tulips in front of our apartment entrance make me smile every time i see them. Definitely my tulips that are just starting to show some color.